Wamariya illustrates how beauty can come from places of indescribable horror. Her words paint a picture of deep loss, while instilling hope for the future. Weil does justice to a difficult story by weaving together a piece that is both heartbreaking and heart-mending. This is a must-read memoir for anyone interested in war, trauma, and the human condition. 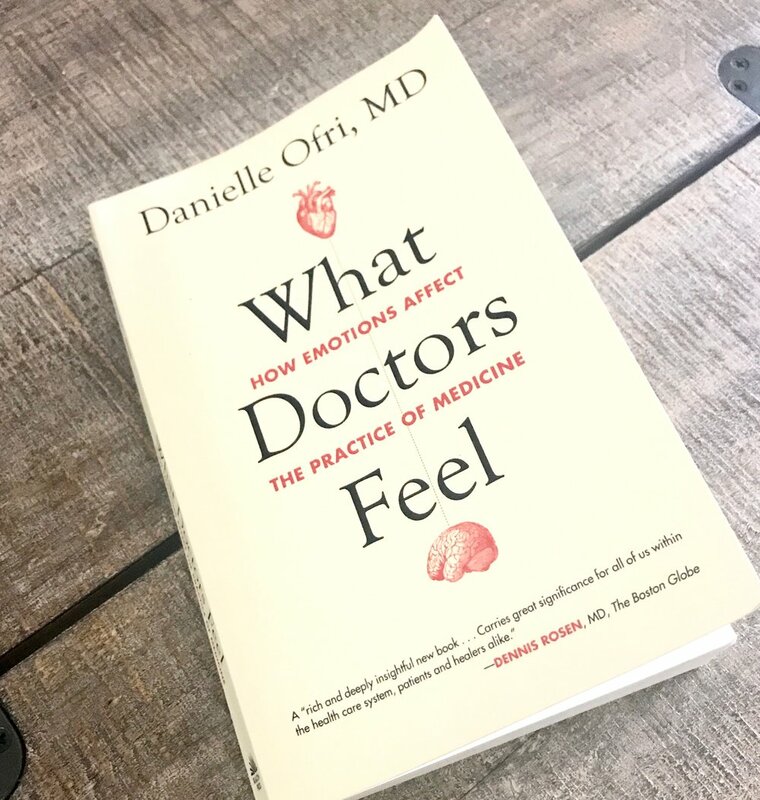 This book is a beautiful reminder that the things we feel as physicians are what make us human, and ultimately what connect us to our patients. If we ignore our feelings, we run the risk of ignoring our patients. Doctor Ofri brings us through a recollection of her emotions and patient experiences, while detailing the importance of self-awareness and emotional maturity. This is a must-read for all current and future physicians. Few books in my life have moved me to tears, but this is one of them. I opened this book on an evening night, and stayed up into the wee hours of the morning because I couldn't put it down. Paul's style of writing is both graceful and yearning, and he weaves you through the spectrum of emotions as he feels them himself. Beyond being an incredible testament to an amazing physician and human, this book poses the unasked questions regarding happiness in your own life. After I turned the last page, I felt myself weighing questions about my own career path and life goals. To me, the measure of an amazing book is one that makes me question myself and this absolutely did that - and continues to do so. Everywhere you turn in medicine these days, someone is talking about burnout. Another colleague lost to suicide. Another fed up with the bureaucracy, turned to a different profession. Physicians are being asked to take on more, with less compensation and less support. Is it any wonder that burnout exists? I was recently given this book at a conference I attended, at which the author Dike Drummond, gave a compelling speech on self-care and community support. A few months went by and the book sat on my shelf untouched, before a particularly stressful week hit me, and I sat down and made my way through it. I flipped through some of it, and spent more time on other parts, but as a whole I felt like it was a great resource and one that I recommend having in your arsenault. When there's not enough tools at our disposal, anything helps! This was one of the first books that I ever read involving the international aid community and it remains on my bookshelf to this day. Told from the perspective of UN workers in conflict zones, it incorporates dark humor, an acquired cynicism, and a realistic perspective that is often absent. This is a book that made waves after its release. It was seen as a type of "whistle-blowing" work and the United Nations threatened legal action against its authors, who were removed from their positions in the UN as a result of the publication. Beyond being a great read, it is an important work for the actions that stemmed from it and I highly recommend putting it on your bookshelf. It's no secret that I've always been interested in MSF. I used to tell people that international medicine in the humanitarian sector was the reason I went into medical school, and I'd like to believe it's what kept me going through years of rigorous training and setbacks. So, whenever I come across a book that gives me an inside look into the aid community, I always pick it up. I flew through this one sunny afternoon and to most people, this would probably deter them from working with MSF or similar organizations, but for me it confirmed that passion. Humanitarian work is not about the glory, it's not about being selfless, and it's not about making a difference. This book absolutely underscores all of these points. If you're looking into working with an international aid organization, this is a good book to pick up to get a sense of the reality of the situation you may be dealing with. It's well-written with a perspective that seems accurate on all accounts, and I enjoyed getting through it. I picked this up on Valentine's Day this year. I've been on a big poetry kick, and powerful feminist writings have been speaking to me in particular. I sat in the sunshine and read this book through once. Then, I got up, made myself a cup of coffee, and read through it again. Some pages left me with questions, others left me feeling like "I could have written this! ", and still others left me hopeful. This is raw and honest, emotional, and a powerful read for anyone who has ever struggled with self-doubt - which, let's face it, is most of us. I stumbled upon this book on a recommendation from Amazon, based on my "past reads". It's not from a medical perspective, but it is from a honest place and a good account of what humanitarian work is really like in the field most times. I recommend this for anyone thinking about a position in international aid.